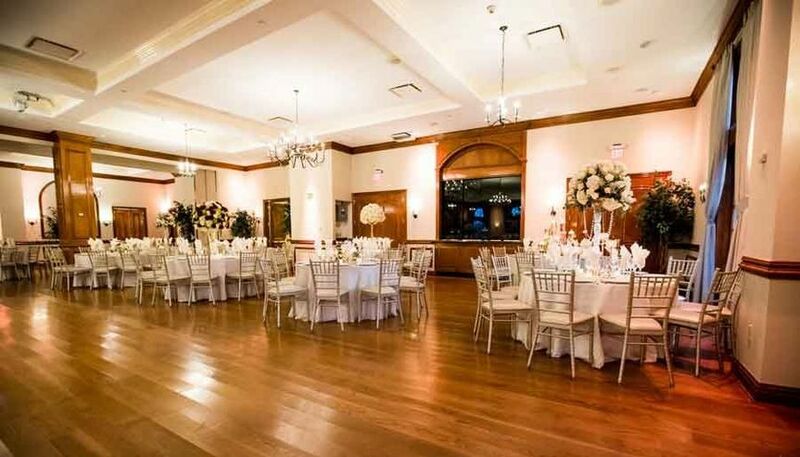 The Royalton on the Greens is a country club wedding venue located in Melville, New York. 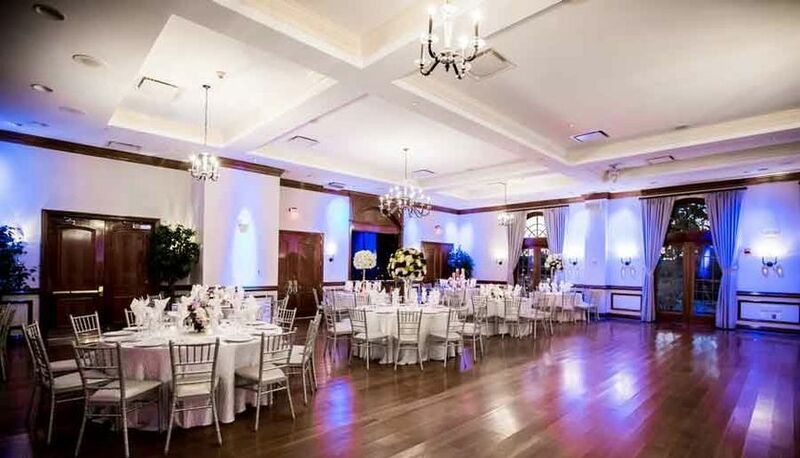 One of many Royalton locations, the venue upholds the same high expectations as its other spaces. 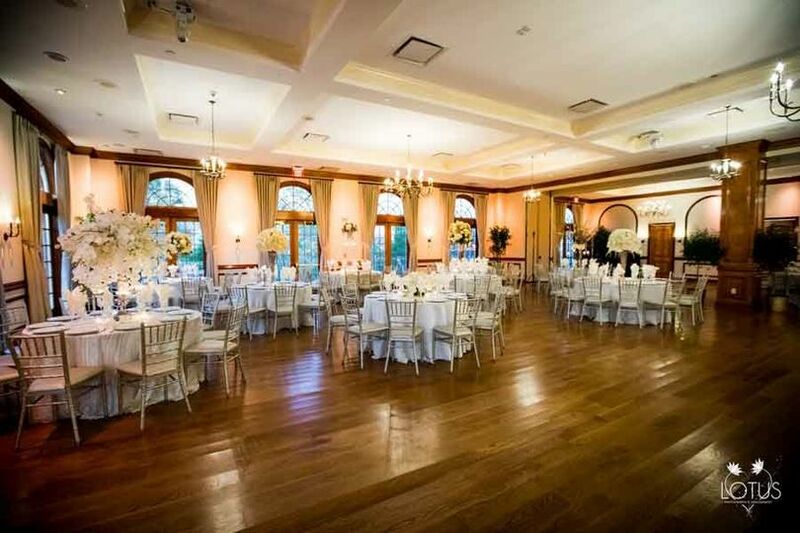 Its luxurious green spaces and exceptional event staff makes every moment one to remember. The grounds at this venue provide breathtaking views. Your guests will be intoxicated with the smell of fresh-cut greens. Lush gardens are endless, and the property is fully gated in by gilded gates to remain hidden from the public eye. In addition to its gardens, The Royalton on the Greens has a romantic terrace that wraps around the property. The outdoor locations create a perfect whimsical backdrop for receptions and cocktail hours. 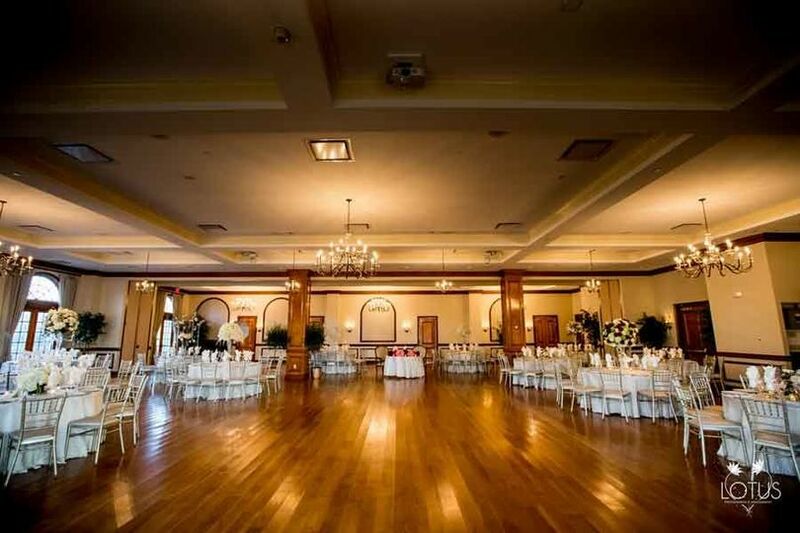 For an indoor location, the elegant grand ballroom will be ideal. Begin by stepping into the grand foyer. There, your guests are greeted by marble floors and a baby grand piano. 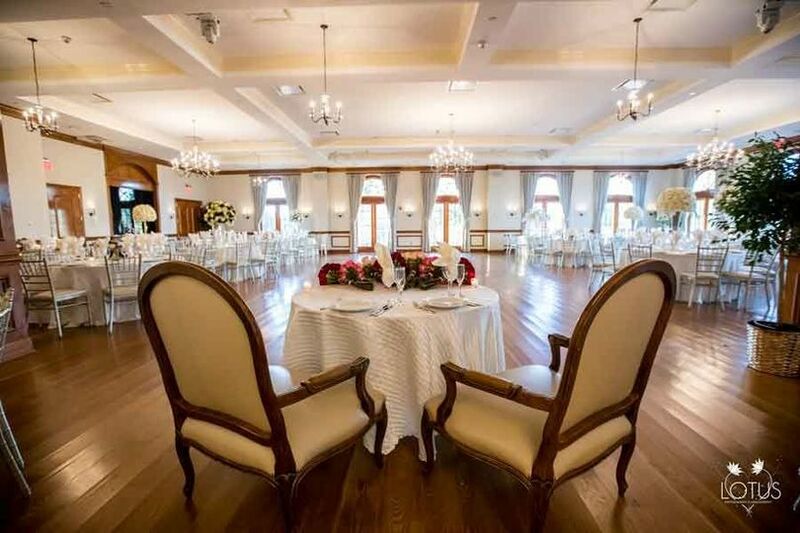 Its Brazilian Oak floors lay across the space and wrought-iron and crystal chandeliers hang from the ceilings. The wrap-around french doors continue to give views of the romantic gardens outside. The magnificent space is able to accommodate up to 425 guests. The event coordinator provides the details you need and the help you require. Their staff is available for both setup and cleanup for your event. While that happens, relax in the bridal suite with your friends and family to make memories before the your happily ever after begins. The facility will also provide liability insurance for your event in the case of an emergency. Dine on custom and distinct menus from some of the best chefs around. Your senses will come alive and your guests will love the dramatic seafood and dessert displays. When it's the end of the night, indulge in the cake, given complimentary by the catering staff at The Royalton on the Greens. 5 stars is not even enough for the Royalton, Michael, Ed, and his staff. 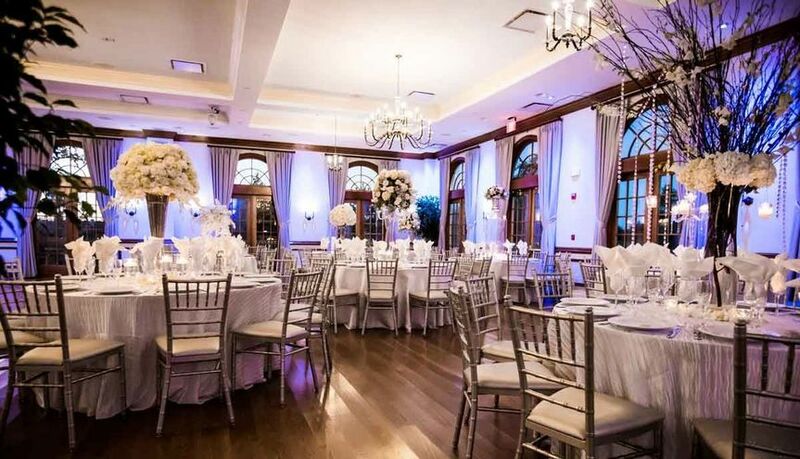 The venue itself is absolutely beautiful with a huge ballroom, intimate cocktail hour space, and a wrap-around balcony with food stations and a bar. Michael went above and beyond to fulfill all of our requests and gave us the wedding of our dreams. The food was incredible and they gave us so many unique choices for cocktail hour, our stationed dinner, and dessert. People are still telling us how much they loved the food and drinks and how beautiful the venue was. I cannot say enough good things about the Royalton!